One of the things you’ll find when your going to interviews for your first job after leaving education is that they ask the same types of questions. The main one that feels me with dread is “Give an example of good customer service you have provided”. I hate that question. Hopefully your interviewer would have been kinda enough to at least state that, as you are ill experienced, you might want to give examples of good customer service you have received. Sounds simple enough, but what is good customer service? The first thing that jumps to my mind is examples bad customer service. We all remember bad customer service, they stick with us, they are almost etched in our mind and often good customer service is overlooked and quickly forgotten. It’s harsh fact in the IT world that the best people are those that no-one knows what they do and only after they leave do people realise how good they were. 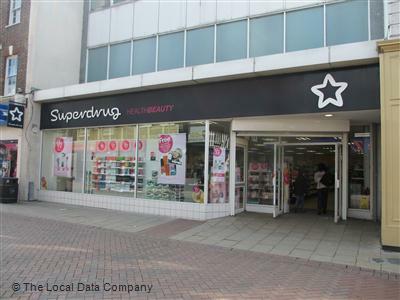 The example that prompted me to write this post was after visiting my local Superdrug. Now you have to understand, I’m not a fan of shopping, in fact, that’s an understatement. I’m often messing about if I’m not too busy daydreaming. So when the missus has dragged me shopping, and if I’m being honest, Superdrug is possibility the worse shop she could drag me to. The idea of spending any length of time looking at make-up horrifies me, combine that with the lack of entertainment (trolley racingiPad “testing”comfy chairs) combined with the prospect of holding bright print bags and your pretty much got a full-on sulk for the rest of the day. The thing that impressed me was one of the staff, he clearly had spotted my sulky face and had been watching us as my missus perused the aisles. As we ventured near the final stretch towards the tills he moved from the shelves he was stacking at the back of the store, not to the tills but the boxes near the tills and continued unpacking stock. When we finally came to queuing for the tills after what felt like an eternity, he stopped unboxing and headed for the till. He opened the till, despite us being the only person in the queue. He stated that they have a 2 for 1 offer on fizzy drinks and would we be interested – the fizzy drinks being stored next to the tills – when we collected a pair and placed them on the counter, he asked if we wanted them out or bagged. This was good customer service. He spotted a unhappy customer, me. He decided the best way he could help was to get me out of the shop as quickly as possible, the less time I spend in the shop, the more likely I was to return and more importantly, with my money. He saw a sales opening, he took it. For me, the ticks all the boxes. It shows common sense, that your able to put your feet into the customers shoes, right up to the end this guy is thinking of me, the customer – I can’t tell you the number of times I’ve had shop assistance put items into a bag when you both know your going to take it straight out of the bag (a rant for another day perhaps). It shows this guy can see the real benefit of good customer service, not only has he increased his sales today, but future sales by turning a unwilling customer, into a sightly more willing customer. For more helpful tips on Customer Service read Tricia Morris‘s 7 Customer Service Lessons from a Jedi Master.